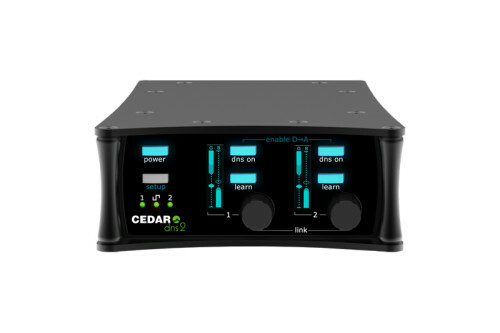 So check it out, Cedar actually makes a portable and simple DNS. It's interesting because it means that a dialog mixer in the field might very well use it because Production is incapable of shutting the hell up for takes. This is a quick and dirty solution for cleaner-sounding takes, but it ain't cheap -- it's $4000. And cleaning up with single-ended noise reduction while recording is not the "right" way to do it. But two things about that -- 1 it's likely that you'll have separated tracks of each microphone being recorded pre-noise reduction anyway and 2 so many productions go through post so quickly that the production sound person really is the last time a sound pro will touch the audio so you may as well make it sound like the finished product.